Drop one MonoBehaviour in the scene and you have a bug reporter. Run a server within the editor, or click a button to compile one. Tracking is easy and effective! The reports are listed in a performant in-editor overview. 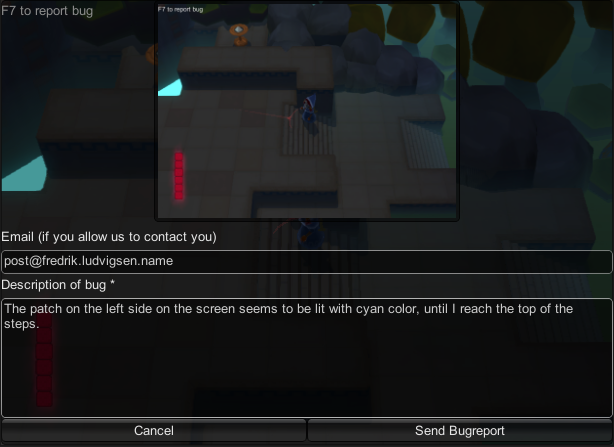 You can add comments to bugs, and set their priority. Full search of all bugs. Searches description, commentary, etc. Search is as-you-type, and really fast. Developers get an overview of bugs assigned to themselves. No email or web-based tracker involved. Encrypted traffic. RSA+AES keys are generated when appropriate. 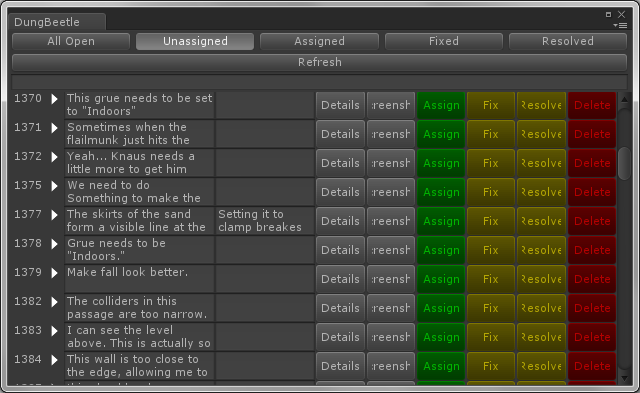 Easy to integrate and customize for Unity projects. Managed DLL and server binaries are just a click away, even if you fork the code.